Leaving your cat unattended for long periods of time gives your feline plenty of opportunities to tap into his or her more mischievous side. A curious cat can find himself in many different dangerous scenarios – wrapped up in grocery bags, stuck in electric wires, the list goes on. Other medical emergencies like a urinary blockage is common and another reason to avoid leaving your cat alone. While boarding is definitely an alternative option to leaving your cat home alone during a trip, we highly recommend hiring a trustworthy and reliable cat sitter who can come to your home and provide your cat with company, play time, and plenty of fresh water. This way, your cat stays relaxed and happy in his or her own environment, and you can be rest assured that your furry pal stays safe while you’re away. Plus, your pets diet and exercise remains uninterrupted, exposure to illness is minimal, and professional cat sitters are trained to handle all sorts of little issues that may arise while you’re away. 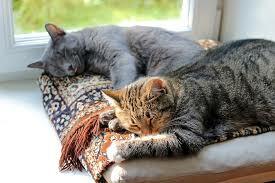 To find out more about our cat sitting service at Pampered Pets, click here. Be mindful of where the food and trash is at all times. Both cats and dogs will be tempted to get into the garbage if you let them, and there are many hazardous objects (hello, chicken bones) that, if, ingested, could result in a trip to the ER. If you feel overwhelmed by the idea of managing a party while keeping an eye on your pet, consider hiring a trusty pet sitter to take your four-legged friend out of the house or apartment and away from all the activity, especially if your pet doesn’t do well with crowds or people in the home. Another option? Book a long walk with one of our top of line dog walkers so your pup is tired during the party. Have a cat? Plan to set aside some one-on-one play time before guests arrive. As a pet owner, you hear it every summer: do not leave your pets in the car. We know you know this already (right? ), but it’s always worth reiterating – it’s not worth the risk, and never is. Done and done! Even if you plan on staying indoors with the pets during the hottest months of the year, chances are high that you will hear fireworks in the distance, or a summer storm will pass overhead. Dogs and cats that react to thunderstorms will most likely have a similar reaction to the sound of fireworks, and both events can cause anxious pets to become destructive. Make sure that all doors and windows are securely closed so that your pet doesn’t try to escape out of fear, and inform everyone in the house to be mindful of opening and closing the front door. For cats that become anxious or scared during thunderstorms, we recommend remaining calm (as felines look to us and our body language to assess stressful situations), providing cozy and safe hideaways, and plugging in a pheromone spray. Visit the vet if you think your pet has a particularly hard time (for example, if he or she continues to shake and hide even hours after the storm or fireworks are over). Walking dogs in the hot summer heat can be unenjoyable for you AND your pup. When possible, avoid asphalt that has been baking the sun, and always bring along some water. Stay in the shade as much as possible, and keep walks short on the hottest days. Most importantly, pay attention to your dog’s cues, and familiarize yourself with the symptoms of overheating in pets (see below). Lastly, always keep plenty of cool water available for all furry friends during the summer, and keep them on heartworm medication! What would you add? We hope everyone has a wonderful and safe summer! Get your dog vaccinated. Even if your four legged friend doesn’t attend doggy day care or frequent the dog park, it’s a good idea to take him or her to the vet for the vaccination, especially since the flu is highly contagious among canines, and can spread easily among both dogs and humans (we can’t catch canine influenza, but we can carry the strain on our clothes or hands if we touch a dog infected with the flu). Keep a watchful eye out for early symptoms. Any coughing, sneezing, clearing throat, fatigue or loss of appetite warrants an immediate trip to the vet. 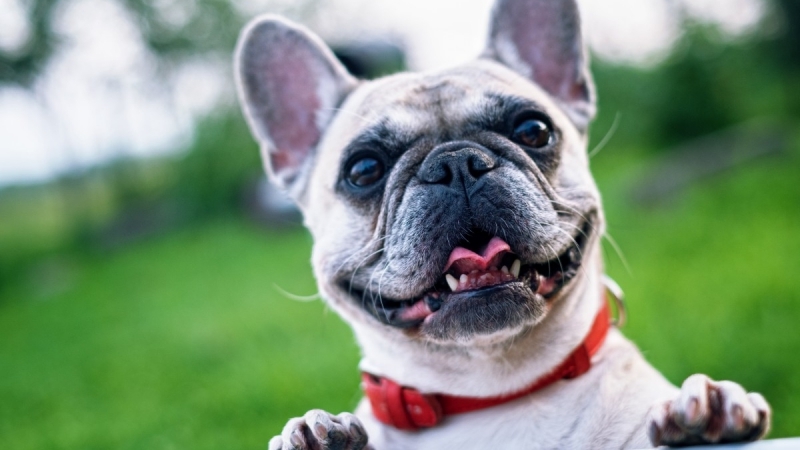 If you suspect that your pooch is infected, make sure to notify your dog walker, or anyone else who is in regular contact with your furry friend. Lastly, if you’re a dog walker or dog owner involved in dog shows, competitions and other such activities, make sure to practice good infection control by washing your hands frequently, keeping a clean environment, and staying up to date on the most recent outbreaks. As always, we hope everyone’s pets are safe and healthy this summer! We often think of the vet as a place to take our furry members of the family for check ups, upset stomachs, and vaccinations. 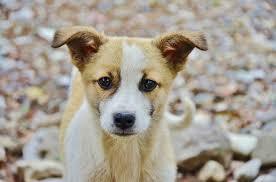 But your veterinarian is a great resource to have throughout your furry pal’s life. 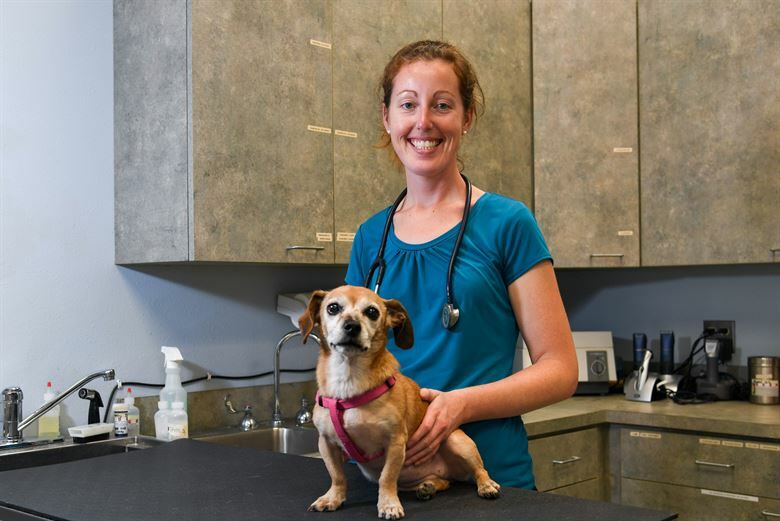 Aside from ensuring that your four-legged friend is in good health, your veterinarian is a trained specialist in pet welfare, and he or she is knowledgeable not just in physical health when it comes to your pet, but behavioral as well. Case in point: when my dog, Juniper, was a few years old, she was very shy around guests and struggled with fear-based aggression when men entered my house. I did research and even worked with a trainer, but the best advice I received was actually from my veterinarian, who told me to plan a dinner party in which I skipped Juniper’s dinner (so she was extra hungry) and then gave a piece of hot dog to every man who entered the house. I then told them, per the vet’s instructions, to give the piece of hot dog to Juniper without making eye contact whenever she approached them. While this seemed like a relatively simple suggestion, it was a huge success and something I wouldn’t have necessarily thought of on my own. Not only did it drastically change Juniper’s behavior (she now assumes men who come into the house are going to give her a delicious treat) From then on, I went to my veterinarian for behavioral tips, and I’ve never been let down. To start the conversation with your veterinarian, you can begin by asking what he or she feels most knowledgeable about when it comes to behavior. 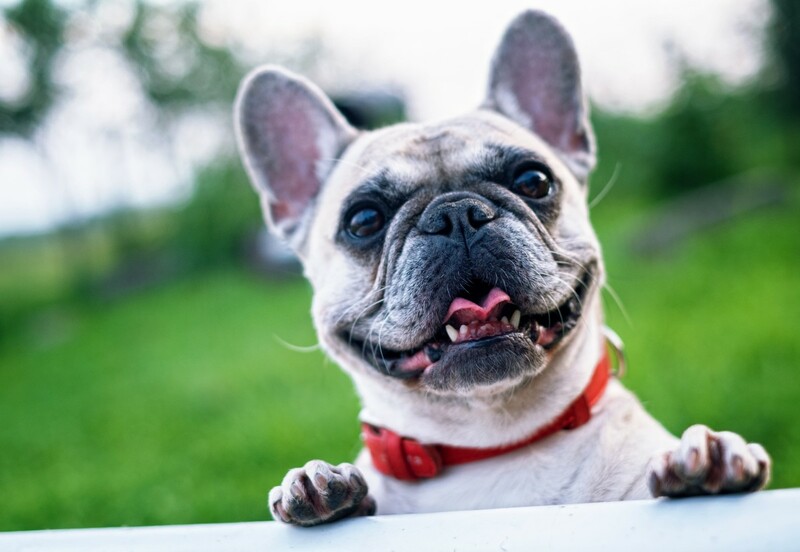 They may say they have a strong grasp on behavior in general for both dogs and cats; they may say they specialize in some areas in particular such as aggression or housebreaking, or they may refer you to a veterinary behaviorist, depending on what issues you’d like to address. Either way, we like to think of the vet as resource to take advantage of throughout our furry pal’s life, through the good and bad! In their later years, both dogs and cats can experience age-related cognitive decline, and keeping your pet engaged, whether it’s gentle physical activity or environmental stimulation, can be the perfect way to enrich his life. For example, if your cat has always loved a certain perch by the window, making it more accessible with a small stepping ladder or a few boxes will be easier on your furry friend’s joints. Similarly, if your dog has always been a big fan of fetch, he might enjoy laying on a mat and having the ball rolled towards him. Another fun way of engaging your pet? Teach him a new trick. Whether it’s training your cat to walk through a low hoop or teaching your dog to (finally) shake hands, giving daily attention and engaging your furry pal will not only strengthen your bond but engage their brain in a fun way. In terms of exercise, a slow on-leash walk with your canine can be a great source of stimulation, and for non-mobile dogs, a walk in a carrier (or a ride with the windows down!) can be just as beneficial. For cats, stash away the laser and try puzzles and other games that require less leaping and more inquisitive exploring (like treats in an empty water bottle). 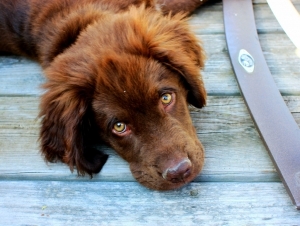 Lastly, being observant and watching for signs of discomfort or disorientation will ensure that your furry member of the family stays happy and pain-free. As always, we recommend taking your pet for frequent veterinary visits as signs of aging can often be subtle. 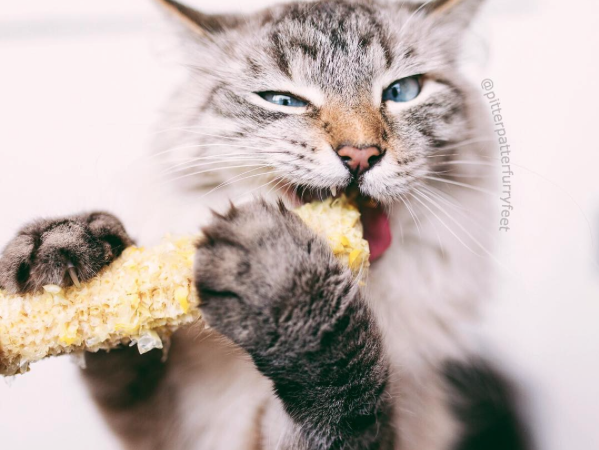 In our last article, we talked about why our furry felines can be the pickiest of eaters. 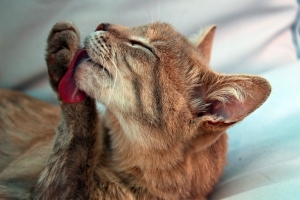 Today, we’re going to offer a few tips on how to get even the most finicky cats to eat their meals. 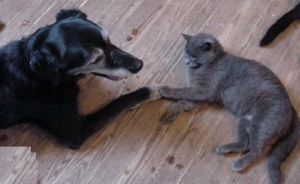 -Add a little tuna water to his food, which is high in protein and appeals to most (if not all) felines. 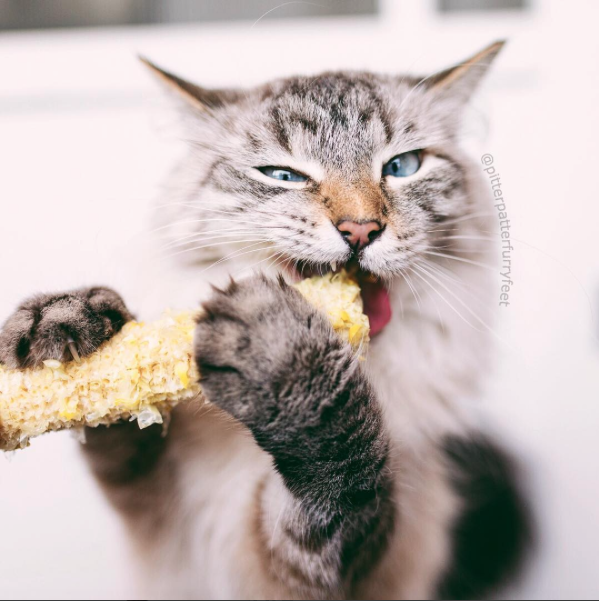 -Cats are grazers, eating many small meals throughout the day, so cat owners often leave food in their bowls so they can nibble as they please. The problem? Having food readily available may not offer your four-legged friend the mental stimulation needed to trigger appetite – there’s no hunt. Consider offering food only during meal times, as pickiness could be as simple as your cat not working up a big enough appetite in between meals. -Try slightly warming your cat’s wet food, which brings out the aromas and may trigger hunger (similar to how the smells of a simmering meat sauce trigger feelings of hunger in us humans!). Just make sure it is warm and not hot! -If you have more than one cat, consider feeding them together (with separate bowls, if necessary) as cats are social eating and feel comfortable eating together. Plus, having company during dinner can encourage a picky cat to eat, especially if he sees his fellow feline chowing down. -Take out a toy before meals. A stimulating play session is a great way to get your four-legged friend out from under the couch and working up an appetite before dinner. -Lastly, this trick seems to get a stamp of approval from many pet blogs online: sprinkle a little parmesan (the stuff from the green can is fine) on top of the food. As always, if your cat has shown a decrease in appetite, we recommend a trip to your veterinarian. Do you have an exceptionally finicky cat? Please feel free to chime in with any tips of your own!